“Darmok,” the 102nd episode of Star Trek: The Next Generation, is a longtime favorite among both Trekkies and linguists. Case in point: the first time I saw it wasn’t on TV but in a linguistic anthropology class at the University of Minnesota. In the episode, Picard and the Enterprise crew encounter the Children of Tama, who speak entirely in metaphors and references—a system that stumps the Trek world’s universal translator, which can only translate the literal meaning of the words. I’d never thought about the connection between memes and “Darmok” before, but in a classic case of the Baader-Meinhof phenomenon, I saw a tweet by Lux Alptraum later that day referencing the exact same thing. ME, AT 9, WATCHING DARMOK: How could a culture communicate in entirely in pop culture references? That doesn’t make sense! More plausible, he says, would be if the references used in the episode weren’t meant to be the Tamarians’ entire language but something like a ceremonial register—for example, a type of language only used for diplomacy. This would definitely be more similar to the way we use memes, since they’re only a part of our language and not an entire language in and of themselves. 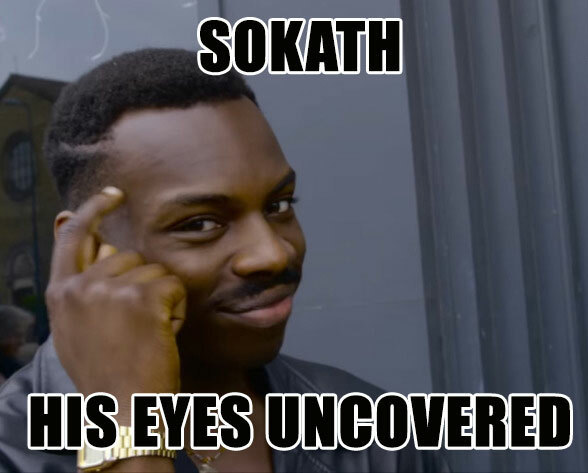 Just like you need to know the story of Shaka for “Shaka, when the walls fell” to make any sense to you, a lot of memes won’t mean anything if you don’t have the background. Most also have their own syntax and format conventions—and when a corporate social media account gets them wrong, the failed attempt ends up in /r/fellowkids (whose name is itself, of course, a meme reference). Still, at least anecdotally, it seems like memes have taken this type of communication a step further—turned it up to 11, you might say. It’s true that people can and do have whole conversations in references or quotes (most of us had friends in high school who could throw Monty Python quotes back and forth forever, or were those friends ourselves), but that’s generally for the sake of the quotes themselves or enjoying shared knowledge of a fandom rather than for the purposes of actually communicating information. In these contexts, it’s in some ways more like playing questions in Rosencrantz and Guildenstern Are Dead than it is like Dathon talking to Picard. Although the same is often true for online conversations that happen entirely in image macros or reaction GIFs, people also use this format to communicate new information and unique ideas. There are limits, of course—just like with Tamarian, it’s hard to get particularly specific or concrete about things unless you happen to have the pitch-perfect reference for your particular context, and someone else understanding you usually relies on their knowledge of the memes you’re using. On the other hand, some memes, especially reaction GIFs, make sense even if you don’t know the source material. You don’t necessarily need to be a Simpsons fan or to have seen the 1994 source episode to get what the GIF of Homer backing away into the bushes is saying. Unlike Tamarian, in some cases this can actually make it easier rather than harder for people who speak different languages to communicate; even if they don’t understand each other’s spoken language, they can get the visuals. McCulloch also notes that “Darmok” isn’t the only sci-fi story with a similar concept. China Miéville’s 2011 novel Embassytown, for one, features a people who (among other unique characteristics) make extensive use of similes, but it goes a bit further than Star Trek. In Miéville’s story, the Ariekei’s language doesn’t allow for lying, meaning that all similes have to be based on real events—leading to the bizarre practice of recruiting people to stage “literal similes” when someone decides they need another stock phrase to express what they want to say. In the real world, whether it’s memes, idioms, or Monty Python quotes, it seems like a safe bet that making references will stay firmly embedded in our language and culture indefinitely. Just remember: the Internet isn’t ruining language—it’s helping it evolve. You can hear more from James Harbeck on his blog, Sesquiotica, or follow him on Twitter at @sesquiotic. Gretchen McCulloch (@GretchenAMcC) cohosts the monthly podcast Lingthusiasm, which is also on Twitter at @lingthusiasm. What’s Coming Next for the Characters of Game of Thrones? This week’s episode of The Simpsons featured Homer getting embarrassed while texting Lisa and sending her the “Homer backs into the bushes” GIF. Then today, I read this article and get Baader-Meinhof-ed myself.